Racers participate in the Trinity River Challenge kayak and canoe race on the Elm Fork of the Trinity River in Carrollton and Lewisville on Saturday, Sept. 20, 2014. I got 3rd place in the Small Recreational Kayak division. It wasn't broken down by age, so I'm happy with the results under the circumstances. Here are the official results. 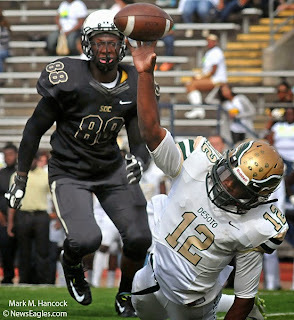 Desoto sophomore quarterback Jaylin Nelson (12) throws a controversial pass while balancing on an arm as South Oak Cliff junior Izaeh Tisby (88) approaches during a high school football game at Maverick Stadium in Arlington on Saturday, Sept. 13, 2014. 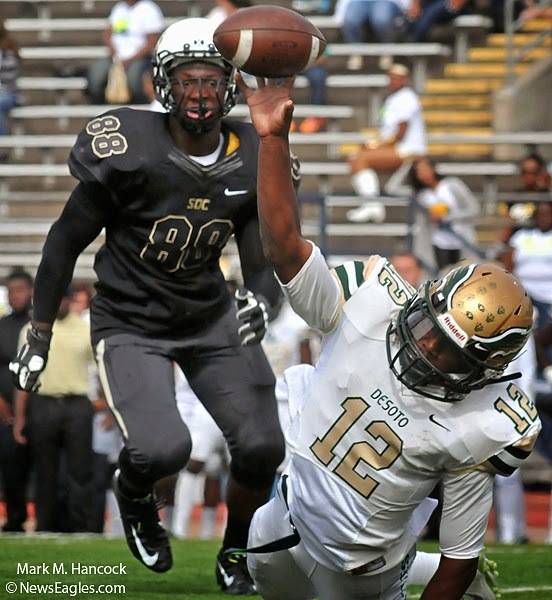 Desoto battles South Oak Cliff during a high school football game at Maverick Stadium in Arlington on Saturday, Sept. 13, 2014. Desoto won the game 53-13. Please see the full YouTube slideshow. 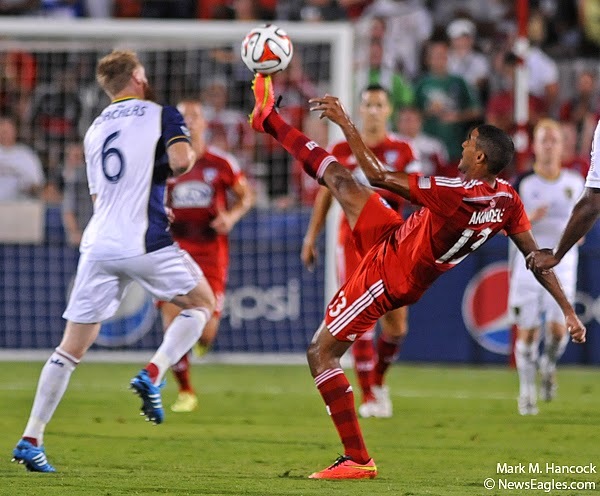 FC Dallas' Tesho Akindele (13) kicks the ball away from Salt Lake's Nat Borchers (6) during a Major League Soccer match at Toyota Stadium in Frisco on Friday, Aug. 22, 2014. Please see a larger version of this slideshow. FC Dallas battles Salt Lake during a Major League Soccer match at Toyota Stadium in Frisco on Friday, Aug. 22, 2014. FC Dallas won the game 2-1. Linda Fields of Frisco looks at the moon through a telescope while the Jindal family prepares for their turn during the Texas Astronomical Society's free Starfest star-gazing party at Frisco Commons Park in Frisco on Saturday, Aug. 9, 2014. Starfest events take place on the second Saturday of each month. 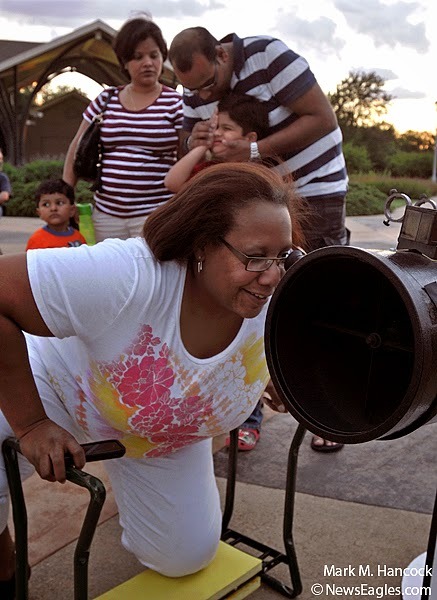 Visitors view the cosmos during the Texas Astronomical Society's free Starfest star-gazing party at Frisco Commons Park in Frisco on Saturday, Aug. 9, 2014. Starfest events take place on the second Saturday of each month. Please see the YouTube slideshow with an original music composition. 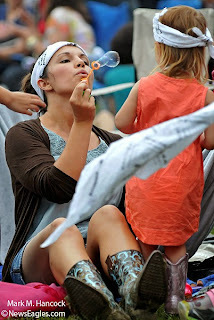 Stephanie Olson of McKinney blows bubbles for her daughter Amelia Olson, 2, before the Smiles Charity Concert at Adriatica in McKinney on Sunday, May 25, 2014. Wounded warrior Brian Aft was presented with a new house and Bret Michaels (formerly with Poison) performed in concert during the annual Smiles Charity Concert at Adriatica in McKinney on Sunday, May 25, 2014. The charity event raises funds and presents a wounded warrior with a new house in a good community each year. Please also see the YouTube version of this slideshow with an original beats composition. 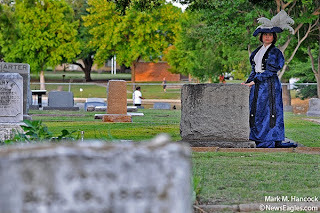 Amanda W. Gott, played by Andrea Himmelsehr, waits for guests during the Mesquite Meander tour at the historic Mesquite Cemetery in Mesquite on Friday, May 16, 2014. 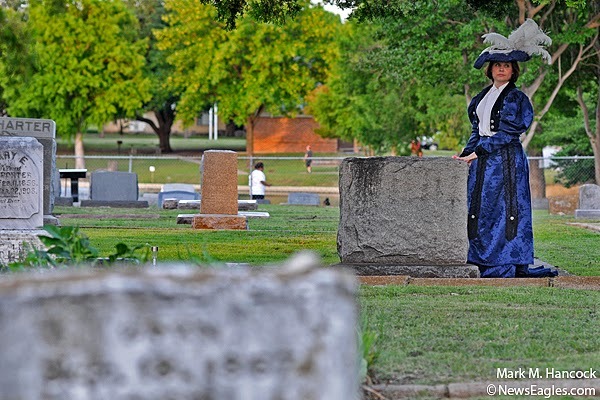 The tour featured actors portraying both famous and infamous Mesquite residents. Guests listen to the stories held within historic Mesquite Cemetery during the Mesquite Meander tour at the Mesquite Cemetery in Mesquite on Friday, May 16, 2014. 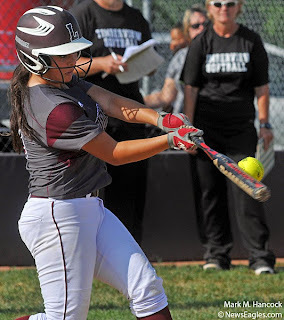 Lewisville freshman Kaylee Rodriquez (9) bats against Timberview during a Class 5A Region I quarterfinal softball playoff game at Killough field in Lewisville on Saturday, May 10, 2014. Please watch the YouTube slideshow with an original beats SoundStripe. Lewisville battles Timberview during a Class 5A Region I quarterfinal softball playoff game at Killough field in Lewisville on Saturday, May 10, 2014. Timberview won the first two games of the series and advanced. Lauren Farley of WOGA (289) performs on the balance beam during the WOGA Classic Gymnastic Competition at Dr Pepper Arena in Frisco on Saturday, Feb. 8, 2014. World-class gymnasts compete during the WOGA Classic Gymnastic Competition at Dr Pepper Arena in Frisco on Saturday, Feb. 8, 2014. WOGA Gymnastics is the home of Olympic champions Nastia Liukin (2008) and Carly Patterson (2004). Please see the YouTube version of this slideshow with an original beat composition by Mark M. Hancock. Please set your YouTube viewer to 1080p to see the show in high definition. Bishop Dunne junior Adam Lee (22) shoots between Prestonwood sophomore Schnider Herard (34) and senior Jocob Mathes (4) during a basketball game at Bishop Dunne High School in Dallas on Tuesday Jan. 7, 2014. 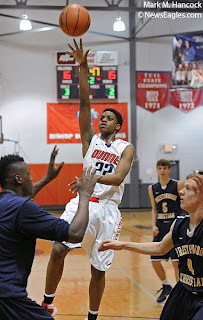 Bishop Dunne battles Prestonwood during a high school basketball game at Bishop Dunne High School in Dallas on Tuesday Jan. 7, 2014.